The Egyptian armed forces officially took over the government today with a series of announcements that will determine the future of the most populous Arab country. The Supreme Council of Armed Forces dissolved parliament, suspended the constitution, formed a committee to draw up changes to the constitution, and pledged to run the country for up to six month or until elections are held. 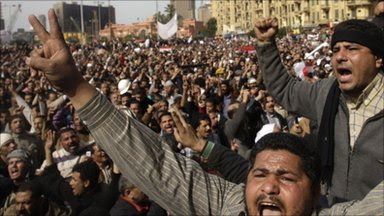 The announcements were received happily by the crowds of Egyptians whose demonstrations led to the "resignation" of President Husni Mubarak on February 11. In most parts of the world, especially the Middle East, this would constitute a military coup d'etat. This change in Egypt is being portrayed as the military stepping in at the request of the caretaker government. Make no mistake, there was a military coup in Cairo. 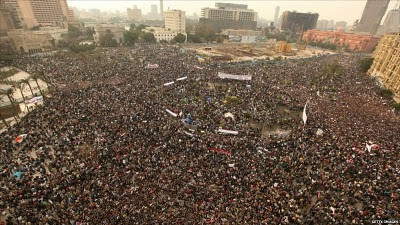 As late as the evening of February 10, hundreds of thousands of Egyptians waited in Tahrir (Liberation) Square in the middle of Cairo, and millions around the world waited in front of televisions, radios and computers for the announcement of the expected resignation of the president, Husni Mubarak remained defiant and refused to step down. Mubarak's refusal to give up power set Egypt on a collision course, as I wrote that night. 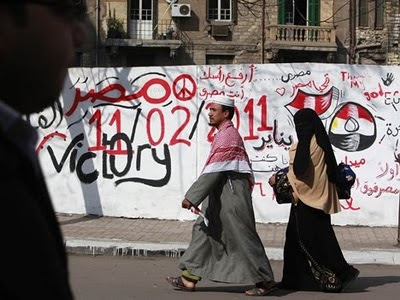 The protesters were not willing to accept Mubarak's offer of reforms and a promise not to run in September's presidential election, and vowed to continue the uprising until Mubarak stepped down. The protesters were of the belief that even if the Egyptian military was ordered to disperse the crowds, they would not turn on fellow Egyptians. The situation seemed to have reached an impasse. 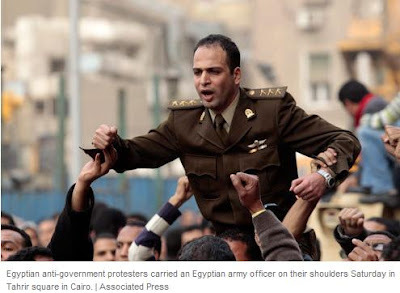 I believe that on February 11, the day after Mubarak vowed to remain in power, the Egyptian military told the president that for the good of the country, it was time for him to go. What else could have happened? Mubarak suddenly had a change of heart on his own? According to the Egyptian constitution, the procedure when a president is incapacitated or resigns is spelled out clearly. The speaker of the parliament temporarily assumes the powers of the presidency and must hold elections within 60 days. Note that the succession excludes the vice president, who serves only as an advisor to the president. The Supreme Council of the Armed Forces dissolved the parliament, a necessary step since the body was packed with Mubarak loyalists. The only way to usher in the reforms demanded by the demonstrators would be to remove all of the legislators and make the changes to the constitution that would allow for real elections in which a variety of parties could put forth candidates, a change from the restricted elections engineered by Mubarak's National Democratic Party. Now comes the hard part. The difficulty in removing Mubarak and his cronies from office may pale when compared to the difficulty in creating a true democracy in Egypt. The military, probably the most trusted institution in the country, will have to demonstrate that it is in fact willing to give up power after elections are held, regardless of the outcome. This is problematic, not only for the Egyptian military leadership, but possibly for the United States as well. One only need remember what happened when the United States and Europe pressured the Palestinians to hold elections, and Hamas won. The big fear, the threat of which Mubarak used constantly to maintain his position, is that the Muslim Brotherhood will emerge as the primary component of a new Egyptian government. I doubt this will happen, but no one can be certain. 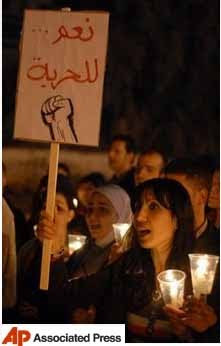 The Egyptian uprising did not have the religious overtones as did the 1979 Islamic Revolution in Iran. Most analysts assess the military as secular and opposed to Islamic rule for the country. The problem with a blanket assessment of the Egyptian military is the secretive nature of the Muslim Brotherhood in Egypt. Since it is an outlawed organization, it is unknown how many military officers are secretly members of the ikhwan. There is cause for concern. Although the Muslim Brotherhood has claimed it does not seek power in Egypt, that disclaimer is to be expected. They will attempt to take power at the ballot box, and they may well be successful. They are the most organized of the opposition political entities in the country. They have already demanded a change in U.S. policy towards Egypt. What must not change is the peace treaty with Israel. The Muslim Brotherhood has already demanded that whoever comes to power in Egypt abrogate the 1979 Camp David Accords, the treaty by which Egypt became the first and for years the only Arab nation to have diplomatic relations with the Jewish state. Putting the two countries back on a war footing serves no purpose for either country, the region or the rest of the world. Unfortunately, anti-Israel as well as anti-American rhetoric at times resonates with the population. The United States, meaning the Obama Administration, needs to be on the right side of history, not just in Egypt but throughout the region as the demand for increased freedom and access to the political process spreads. If you look at the countries currently "friendly" to the United States, they tend to have autocratic governments. It is probably more correct to say that there are governments/regimes that have friendly relations with the United States. Polls consistently show the populations are not in sync with their rulers. I cite Saudi Arabia, Yemen, Jordan, Morocco and even Kuwait, a country that we liberated from Iraqi occupation in 1991, as examples. 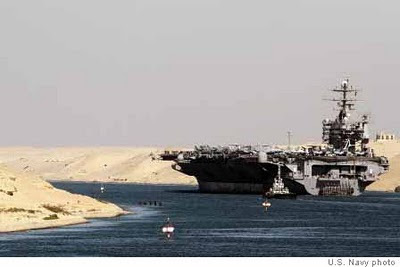 We are fortunate that the U.S. armed forces have an excellent relationship with the Egyptian military. That may be useful in ensuring that as Egypt moves toward the style of democracy that it wants, we are there with the people and not in bed with those that would oppress them yet again. This can work out for the United States, but it will require finesse and diplomatic skill that we have not seen thus far from this administration. 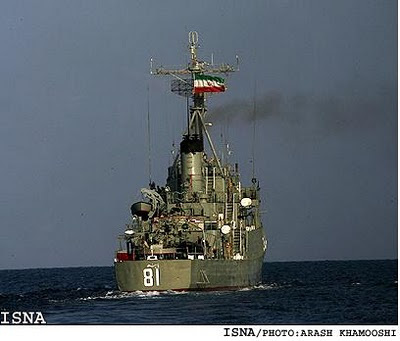 There are talented Arabists and Middle East specialists in both the State and Defense departments. I hope the President and Secretary of State use them. Otherwise, the 3:00am phone call will continue to go unanswered.